A Phoenix Foundation biologist attempts to solve world hunger by creating an organism that speeds up the aging process. She secretly attaches the organism to a satellite that unexpectedly crashes, creating a kill zone of dead wildlife into which MacGyver must enter to retrieve the harmful organism. After MacGyver and Pete argue with her over the merits and dangers of her research, her dog spills the organism thereby killing the biologist, the dog, and blowing up the Phoenix lab. MacGyver warning Pete and the stodgy colonel just in time that he's ok by connecting the downed satellite to his broken camera. The fateful moment when Ace, the dog, leaps into the air and knocks the petri dish containing the organism onto the floor. Normally I would just fast forward through this part but I promised myself I wouldn’t skip anything for this project. It’s both depressing and freaky to see the dog and Dr. Millhouse age before our eyes until the Dr. looks like something out of a horror movie. It’s even more jarring than I remembered. Attaching a transformer to the elevator control to speed up the elevator and escape the exploding Phoenix lab. It’s great to be back in season 3! It’s the best season and we get to see MacGyver do what he does best – troubleshooting whatever it takes for Pete and the Phoenix Foundation. We’re also talking about the Jeep, the Houseboat, and the brown jacket – this is MacGyver in his prime. Right off the bat we’re in the Kill Zone, where we see a field of dead sheep and then a dead rabbit, bear, wolf, and bird. Fun times. MacGyver talking to himself = Awesome. By talking to himself I mean narrating his thoughts so we can know what he’s thinking and why he’s doing what he’s doing. It’s a bummer when that goes away in the later years. Seriously, who wouldn’t want to work for the Phoenix Foundation? Why can’t there be “think tanks” in real life that do research and development in seemingly every conceivable field of study and also happen to always do the morally right thing? It’s always so bright inside and everyone seems happy there. Sign me up! How is this woman still roaming the halls after the Kill Zone incident? All she did was duplicitously rig a satellite with her killer organism that caused widespread death and instability to the point that the military was prepared to napalm the entire area, yet all she hears from Pete is, “it’s over,” as she strolls around the lab amidst her plant collection. Pete, don’t argue with this woman – step up and take control of the situation. This is your Foundation! Put her in handcuffs and take her away! A few scenes from the song appear in this one, including the shot of glowing, eye-guarded MacGyver and then MacGyver and Pete standing and looking back at the flames. When the organism breaks through the seal, Pete puts his finger next to it and says, “There, look,” before MacGyver barks, “Don’t touch it!” Not one of Pete’s brighter moments. If you like dead animals, this is the episode for you. The show is well done, but there’s not an ounce of fun to be had. It’s the complete other end of the spectrum from the slapstick episodes I just reviewed. I’m not against dark episodes per se, but I at least like a bad guy to be brought to justice or some other little piece of light at the end of the tunnel. This episode doesn’t even have the traditional MacGyver denouement, a two-minute post-climactic, end-of-show wrap-up where we can all catch our breaths and have a laugh. Instead it just ends abruptly after MacGyver and Pete escape from the burning lab, and all we have is the closing credits and theme song to recover from the woe. PS I just adore dead animals. After all that that woman did in this episode, one would think someone would've arrested her for almost causing a pandemic. I think she paid for her crime though, wouldn't you? Who doesn't, right? As in who doesn't want to work for the Phoenix Foundation and who doesn't adore dead animals?! I haven't seen this episode, but based on your review, I'd like to watch it. Even if the plot and dialogue are weak, it sounds like this campier version of MacGyver has a lot to offer in the way of straight up entertainment value. I'd recommend it strongly. Obviously it's not for everybody but most people I know love this episode. Yeah this episode is worth watching. It's reasonably well done, I just don't personally care for it. The shot of the aging woman and dog on the floor, dying, is so harsh, because we know they're doomed. I'm a long-time fan, but when I re-watch my way through the eps, I'll be tempted to skip this one. Yeah I used to skip this one too. Thanks for visiting the blog! Probably the only time that "MacGyver" and "sad" come together in my thoughts. We've generally agreed so far but we definitely diverge here as I consider "Kill Zone" a fantastic episode and admire it's "outside the box" delivery, something that I always thought made MacGyver stay interesting for so much longer than traditional action-adventure shows. From the chilling images of dead animals in the forest to the intense opening action sequence at the beginning, I was hooked on this episode and it held me throughout. The scene with Sandra and her dog dying was indeed heartbreaking, but it raised the stakes of emotional attachment for me to this doctor who clearly meant well but was stretching the boundaries of scientific ethics to reach her goal of feeding the hungry with an accelerated pace of food production. Again, couldn't disagree with you more on this one. I rated it as my #28 episode. But she was willfully ignoring everything everyone was telling her. She brought all of this on herself. I just watched this one last night, I enjoyed it more than most, but it really reminded me of the movie "Andromeda Strain". Many of the plot elements seemed taken directly from the movie. Yeah in fact I asked Calvin Clements (the episode writer) about that and he said that it was based on Andromeda Strain. Watching right now and really want to smack some sense into Doctor Millhouse. It's one of my favorite episodes. Why don’t you two go back to where you came from and get the hell out of my lab? ~Dr. Millhouse"
"Lowlight: The fateful moment when Ace, the dog, leaps into the air and knocks the petri dish containing the organism onto the floor. Normally I would just fast forward through this part but I promised myself I wouldn’t skip anything for this project." 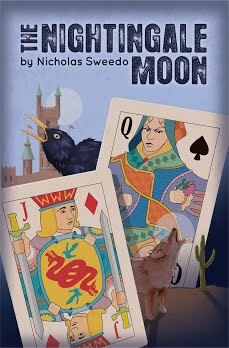 "Right off the bat we’re in the Kill Zone, where we see a field of dead sheep and then a dead rabbit, bear, wolf, and bird. Fun times." OH! Lemme guess. Cease fire? The poor dog??? And where does Dr Millhouse come in at? Last of course. Am I correct in assuming animals do take a priority over humans in your judgment? It was a creative but cringe-worthy episode. Not cringe-worthy in the sense of bad acting and writing, but in the sense of having many moments where you want to look away (the field of dead animals as well as Millhouse and Ace dying). I definitely like the last few minutes with MacGyver and Pete trying to escape. Pretty exciting. I have it at #100 (to this point). Interesting the order that you put here ... the plight of the animals comes first in your list of importance as well as Dr Millhouse her doggie. In other words, it seems you might be an animal rights activist. Am I close to the truth? This episode haunted me as a kid.. 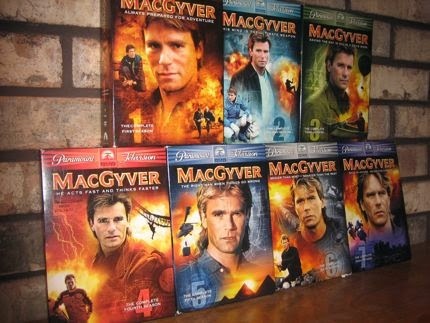 I loved MacGyver, and watched this when I was 9 or 10. Too intense for a kid! One of the few images I have burned into my memory from that long ago is of the dog and doctor dying. I agree with yumbraddy, it is haunting. Amazing effects though. The image of Dr Millstone lying there on the floor, turned into something that resembled a scene from the old Universal Horror movies leaves its mark. This gal also played on several episodes of Murder She Wrote but I never realized that till just recently.